Thailand is one of the most wonderful tour destinations in Southeast Asia. 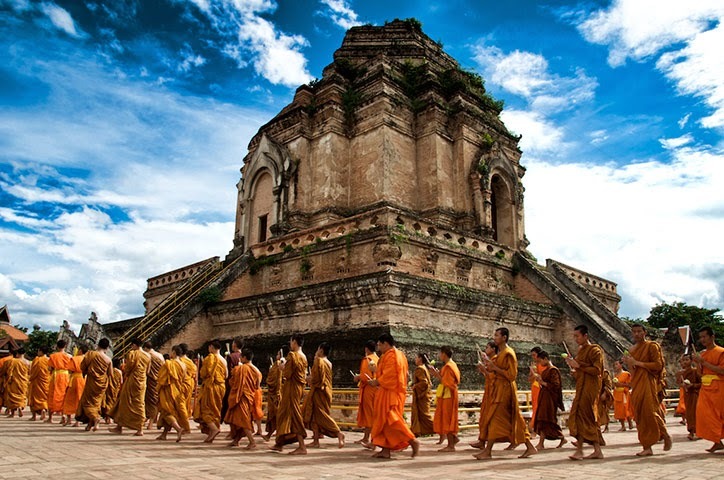 A divine Buddhist culture, ancient history, monks and peaceful environment are the great charm of this country. Although Thailand is peaceful country but there are lots of things which are fascinates travelers towards it. Thailand is pampered with picturesque lands, palm studded gorgeous beaches, blue lagoons and many wonderful cities. Thailand is full with natural animated scenes. Each and every place of this country amazes tourist. Buddhist temples, orange robed monks and special tuk-tuks (Thailand's sputtering motorcycle taxis) add colors in the Thailand tour. Here is an overview of the best places to visit in Thailand shows where to find the historic, cultural and natural attractions. Bangkok is the capital city of Thailand. It is a modern and develop city of Thailand. As the economic, political, culinary, cultural and spiritual center of Thailand, Bangkok features both old era charm and modern delights. 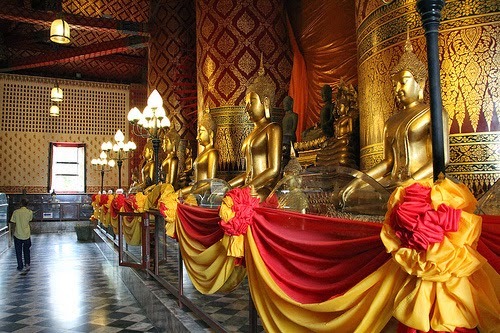 Here are lots of wonderful things to see and for entertainment.Temple of the Reclining Buddha (Wat Pho),Grand Palace & Wat Prakeaw, Bangkok Klongs,CentralWorld and Wat Arun are the major attractions for tourists. Ayuthaya is situated in the Chao Phraya river valley. It is an ancient city of Thailand. Ayuthaya is full with natural beauty and traditional values. 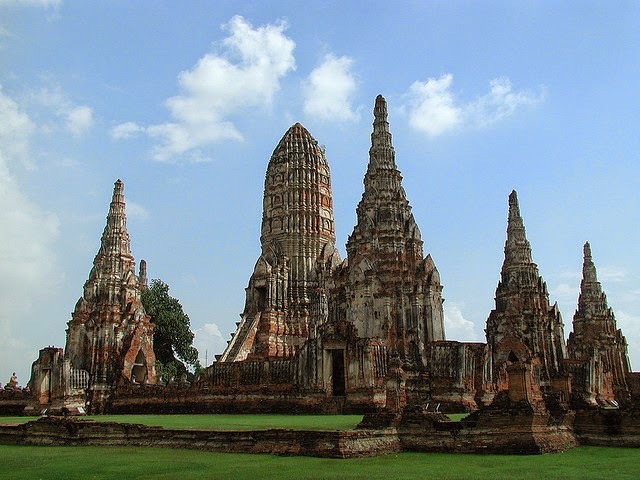 The ruins of Ayuthaya are the top most attraction for visitors. It is declared as the most magnificent city on earth. It is easily accessible from Bangkok by train, bus, boat or car as either a one day trip or overnight excursion. Chiang Mai means “new city”. It is the religious center of Thailand and cluster of many temples.It is also known as the “Rose of the North” in Thailand.Chiang Mai not only became the capital and cultural core of the Lanna Kingdom, but also the center of Buddhism in northern Thailand. Phanom Rang is located on the destructed volcano in northeast Thailand. Phanom Rung is also for Phanom Rung Historical Park. It is the largest and best restored Khmer monument or temple in Thailand. 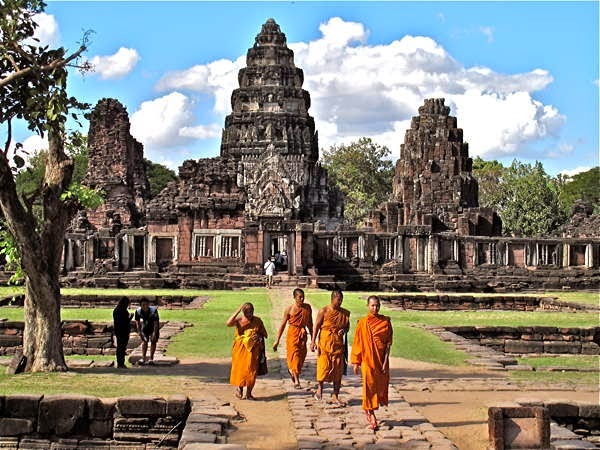 This temple was built by the Khmer king between the 10th and 13th centuries and it is dedicated to Lord Shiva. Wonderful archeology, beautiful sculpture and home of Lord Shiva make it special. 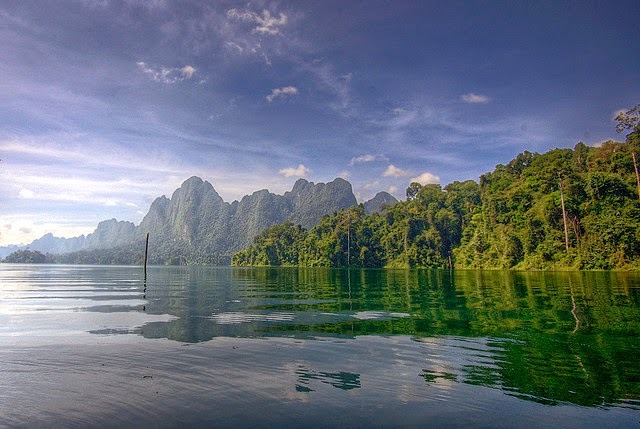 Khao Sok National Park is the most beautiful wildlife reserves of Thailand.It is full with amazing flora and fauna.Dense lush green jungles, rivers, lakes, limestone coasts and amazing landscapes are the big charm of this national park.This reserve is the natural habitat to wildlife like deer, Asian elephants, bears,wild boar, gibbon,Malayan tapirs,languors and pig tailed macaques. A beautiful small peninsula Railay located between the city of Ao Nang and Krabi in Thailand. It is only accessible only by the boat because of the high limestone cliffs off mainland access. It is very popular among the rock climbers. This area has beautiful beaches, wonderful landscape beauty, luxury resorts and many water sports. Kanchanaburi is the very famous and wonderful tourist destination of Thailand. It is situated in the western Thailand. It is famous for wonderful landscapes, Kanchanaburi is easily accessible by rail or road and is famous for rafting,fishing,biking,golfing,trekking and bird watching. 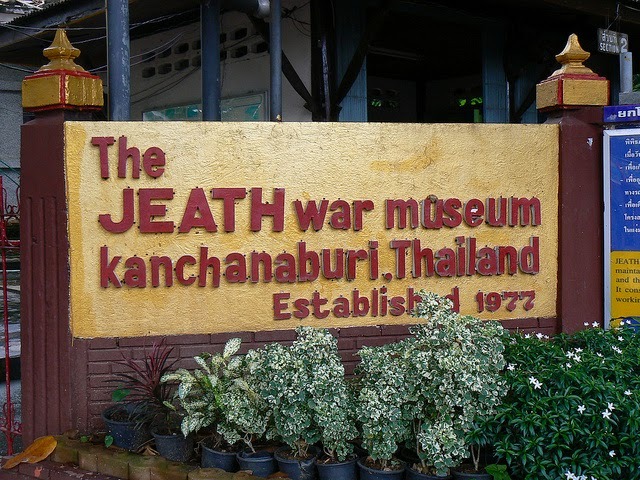 Hellfire Pass Memorial, JEATH War Museum, Prasat Muang Singh Historical Park, Bridge over the River Kwai (Kwae), Kanchanaburi Allied War Cemetery (Don Rak), Sai Yok National Park and Tiger Temple (Wat Pa Luang Ta Bua) are the major tourist spot of Kanchanaburi. Phuket is the amazing blend of the beauty of the sea, sun, sand and nature. It is a widely famous tourist attraction of Thailand. Phuket is always full with tourist in all seasons because Phuket has something different to do in all season.It is the must see tourist attraction of Thailand. 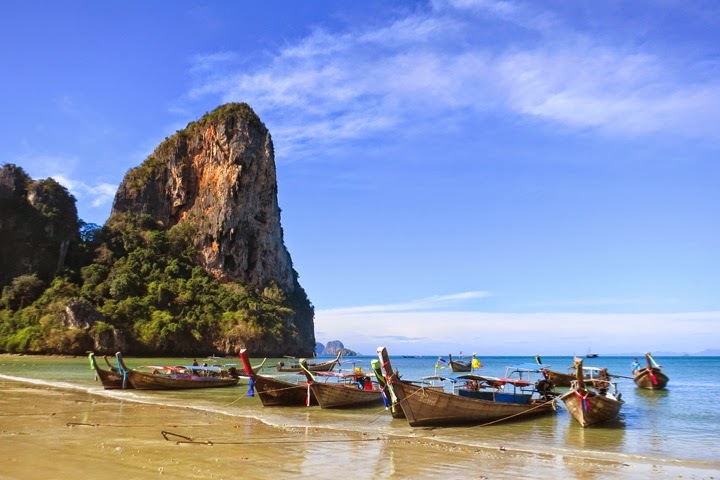 Phang Nga Bay, Bangla Road Nightlife, Phuket Fanta Sea Show, Thai Boxing (Muay Thai), Statue of Big Buddha, old Phuket town, Phuket Viewpoints, Wat Chalong, Phi Phi Island and Phuket Temples are the major attractions among the tourists. Chonburi is the capital of Mueang Chonburi and Chonburi Province District in Thailand. 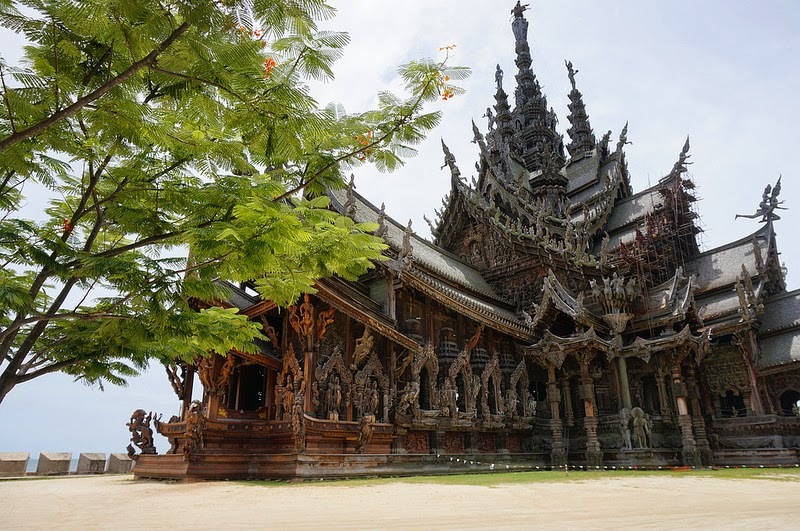 It is situated about 100 km east of Bangkok, on the coast to the Gulf of Thailand. Chon Buri is also known as the city of water. 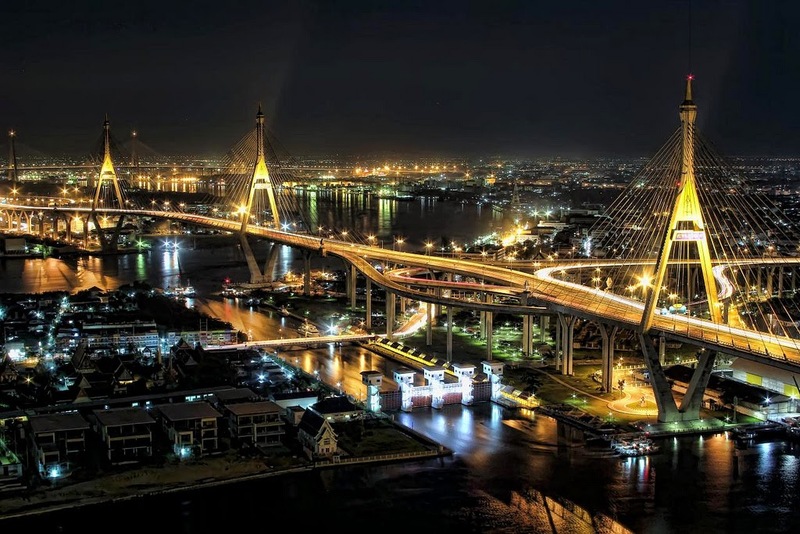 It is a beautiful seaside town.Ang Phak Nam waterfall, The Si Racha Tiger Farm,The Khao Khiao Open Zoo,Laem Chabang International Country Club, Pattaya Shooting Park, Sriracha Tiger Zoo and Bang Saen Beach are the major tourist attraction of Chon Buri. 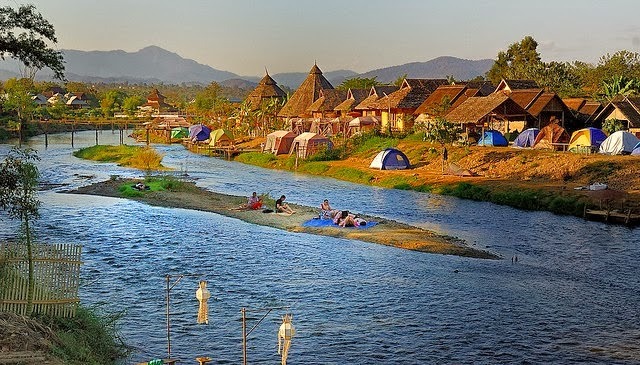 Pai is the small booming town of Thailand.It is located in the northern Thailand’Mae Hong Son Province near the Myanmar border.It is a midway between Mae Hong son and Chiang Mai, Pai is a dream destination for travelers. It is surrounded by the high mountains, tucked deep in a valley, land of picturesque views and showered by the amazing beauty of nature.It is the best place in Thailand to chill out.